Alcohol is one of the most diffused intoxicating substances in India (and in the whole world). It has traditionally been drunk in tribal societies, although it has won increasing social acceptance among all social groups, urban males being the main example. Between 15 and 20 per cent of Indian people consume alcohol and, over the past twenty years, the number of drinkers has increased from one in 300 to one in 20. This translates into about five million people addicted to alcohol. There is a need to increase awareness in the medical community on the topic since less relevant in the western countries where Indian immigrants are now settling. We ll present a case of a 35y Indian old man admitted in our first aid for generalized seizures due to acute alcohol abuse. 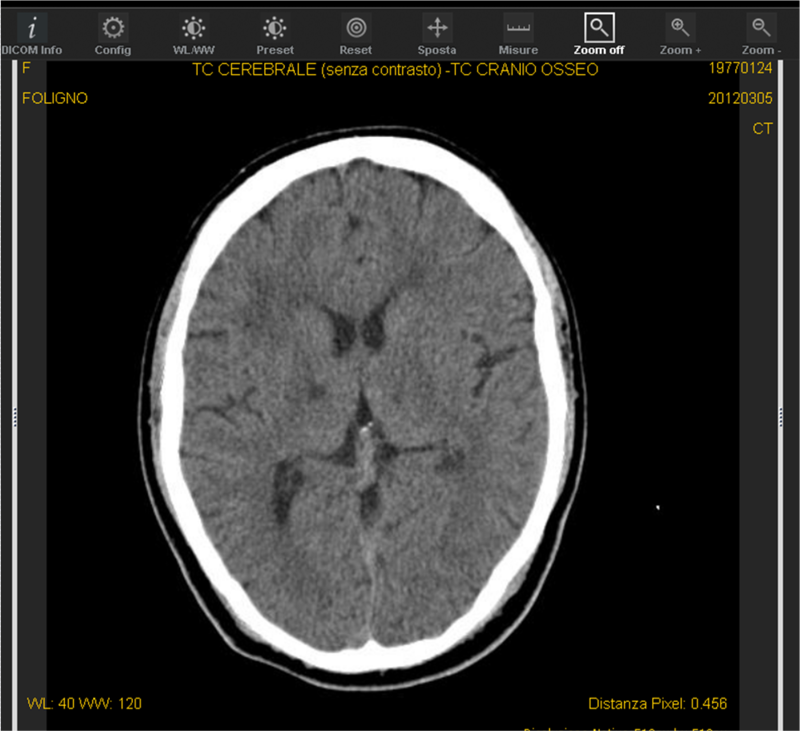 The patient underwent to a brain CT scan demonstrating a relevant multiple infarct encephalopathy. Alcoholemia was over 500 mg/ml. I.v. diazepam was administered with fluids. The subject fully recovered and was disharged the next day. Seen the vascular burden an anti epileptic treatment was undertaken with oxcarbazepine 600 bid.